News of my next personal appearance… and it’s one with a distinct difference. I’m finally getting around to selling off my extensive (and generally, in this age of Marvel Masterworks and the like, gathering dust) US comic book collection, and to facilitate this a bit I’m going to be at next National Collector’s Marketplace at the Royal National Hotel (Bedford Way, London WC1 – close to Russell Square tube station) on Sunday November 7th. Not as a guest, but as a dealer (for the day, at least). I’ll be there selling Silver and Modern age Marvel comics (big runs of X-Men, Spider-Man, Fantastic Four, New Mutants, X-Force, Wolverine, Excalibur and a host of Marvel limited series – plus some DC stuff too, including a complete run of Watchmen). Lots of rare and valuable items among them too, including Giant-Sized X-Men #1 and Incredible Hulk #181 (first Wolverine). So, though I’ll be there with my market trader’s hat on, I’m happy to sign any Transformers/StarCraft/Death’s Head/etc stuff that people want to bring along on the day. Or just come by and say hi. Or better yet — buy something! For more details of the November National Collector’s Marketplace, click here. Doors open 12 noon and, best of all, admission is FREE! As regular viewers of this blog know, I mostly preview/plug/postulate on my own output as author (be it for comics, TV animation or books) or flag any personal appearances, signings, etc, but occasionally something extraneous lands in my lap that I just can’t keep to myself, and one such item is The Art of Hammer (Titan Books), a gloriously lurid coffee table hardback chock full of the superb posters and promotional art (lots of it rare) that accompanied Hammer’s roster of horror, sci-fi, psychological, drama and comedy movies from the 50s to the 80s. Now I’m a big, big fan of Hammer movies, especially its horror output, but even so, there was so much I’d never seen before. 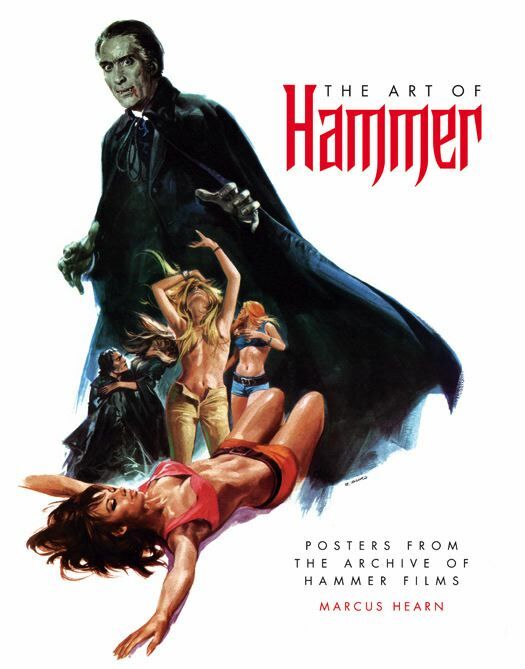 The Art of Hammer features posters from not just the UK, but all around the world. I loved the weird Polish poster for One Million Years B.C., the subliminal sexual imagery buried in the UK poster for Vampire Circus (how had I never noticed that before?!) and the minimalist US poster for Dracula Has Risen From the Grave. Author Marcus Hearn has done an amazing job of collating, scanning and restoring the art, and it’s a book to relish again and again. Can’t recommend it strongly enough. Whether or not you love Hammer movies, it’s a gloriously packaged and designed art book in its own right and a fitting tribute to a quintessentially British institution. The Art of Hammer is in bookshops now. My latest Comics Candy review column is now live over at totalscifionline, featuring reviews of Namor: The First Mutant, Action Comics, Zatanna, The Bulletproof Coffin, Red: Joe and more. For my opinions, good and bad, on this clutch of September shipping titles click here. The news is out — Hasbro’s Battle in Space set, featuring Rodimus and Cyclonus, comes with an exclusive comic book written by me and drawn by Boo. Up till now, I’ve kept quiet about this one, largely because I didn’t want to steal anyone’s thunder, and the script (w)rap for the issue has been, well, under wraps. But now that both set and comic have been announced, it can be revealed (spoilers ahoy — so stop reading now if you’d rather not know) — the comic features an all-new, extra reel of Transformers the Animated Movie! 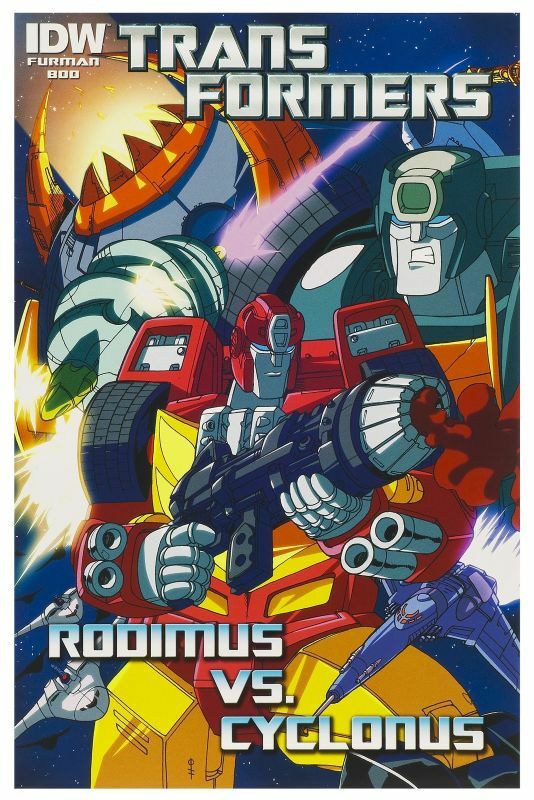 Yes, names not withstanding, this is a neatly spliced new story set within the framework of the existing movie, and focuses on Rodimus (Hot Rod) and Cyclonus in a pitched, no holds barred battle that presages the climactic transformation of Rodimus (Hot Rod) into Rodimus Prime. The story also features Scourge, Kup, Wheelie, Galvatron, the Dinobots and more. No news yet (though feel free to leave a comment and update if you know more) when the Battle in Space set is due to hit stores. You are currently browsing the simon furman blog archives for October, 2010.